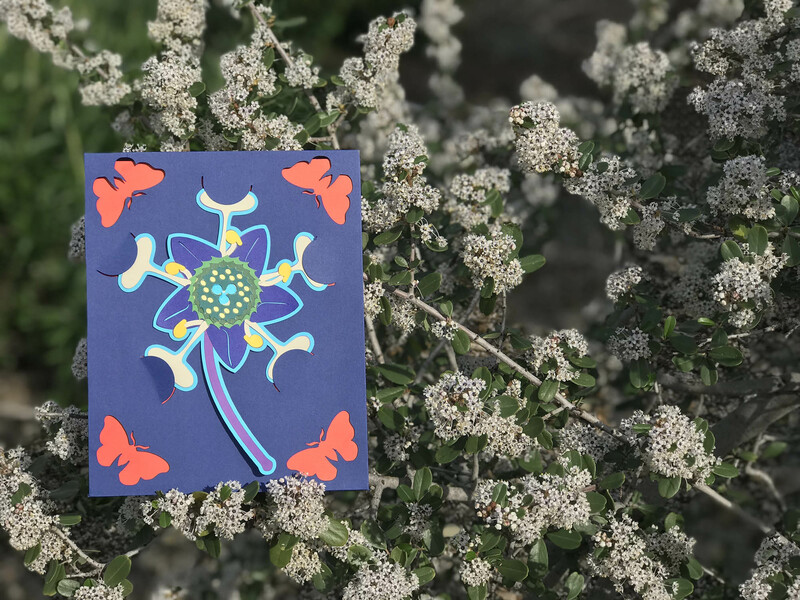 This Valentine's Day, Say "I Love You" like a Ceanothus Moth loves Ceanothus with an original, handmade card from Rancho Santa Ana Botanic Garden! Support Rancho Santa Ana Botanic Garden and sustain all of the work that the Garden does including displaying thousands of flowering plants! With two options to choose from, it has never been easier to say "I love you." Pick up at the Garden only.